The storyline of this case study describes a failure of a central system (much like the Internet of today) that occurs in the future, with some degree of mystery as to the cause. 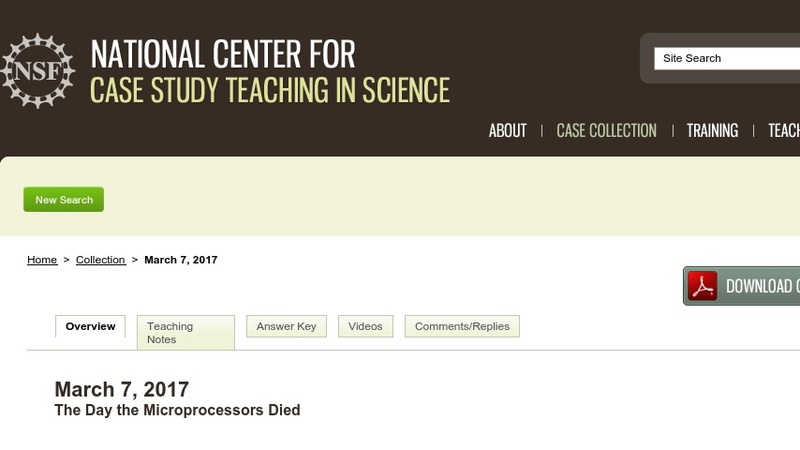 Originally designed for a junior level introductory course on microprocessors for computer engineering students, this icebreaker case study illustrates our increasing reliance on technology, particularly highlighting the importance and ubiquity of microprocessors. The discussion involves a number of new technologies and lays the groundwork for future discussions on good system design and integration of secure processors for embedded systems.